Should you install Microsoft's Hyper-V? 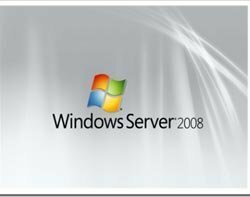 Microsoft's Hyper-V technology, launched last week, offers every business running Windows Server 2008 the ability to use virtualisation out of the box without buying additional software. The Microsoft product will compete directly with the market leader, VMWare ESX Server. Both are free, but are very different platforms. VMWare is a mature product with advanced functions such as VMotion, which supports live migration. It allows enterprise users to move applications from one virtual machine to another without disruption, which is a key requirement in business continuity. Microsoft's Hyper-V product is much less sophisticated. Roy Illsey, senior research analyst at Butler Group, says, "It is aimed at small and medium-sized businesses who want to consolidate servers. Microsoft appears to be targeting users that do not need the advanced features of VMWare." And while VMWare works on older generations of AMD and Intel server processors, which power many of today's PC servers in datacentres, Hyper-V only works on the latest generation of Intel and AMD server chips that support virtualisation, namely AMD Virtualization (V) and Intel Virtualization Technology (VT). As IT departments move from small-scale virtualisation projects to complete datacentre virtualisation, affecting hundreds or thousands of servers, users will need to evaluate the licensing options of each product. Microsoft imposes restrictions on moving applications running on Hyper-V between one physical server and another. This makes it difficult for IT departments to move applications temporarily from one server to another during routine maintenance. "The administrator cannot move the operating system back for 90 days. If he does, he will no longer comply with Microsoft licensing," says Drue Reeves, research director at Burton Group. For small businesses that cannot benefit from Microsoft's volume licensing agreements, the cost of licensing Hyper-V is high. On the other hand, Hyper-V may help IT managers reduce their VMWare licence fees since Hyper-V can be used instead of VMWare for server consolidation. IT directors culd buy VMWare licences only when they need VMotion to run features such as live migration. A complicating factor is that businesses may find it difficult to manage virtualisation technology from more than one supplier. The industry is only just starting to address the problem of how to integrate virtualisation management software packages (known as hypervisors) from differnt suppliers. These packages control and manage the underlying hardware. Tony Lock, programme director at Freeform Dynamics, says major suppliers such as IBM, CA and BMC are building the management of hypervisors into their products, but have made little progress in developing standards to support virtualisation management that would work across different hypervisors. Users who want to deploy virtualisation to improve the uptime of their datacentre are likely to run VMWare with the live migration features in VMotion. But users only interested in server consolidation should consider the cut-down features offered by Microsoft Hyper-V.
Also known as a virtual machine monitor, a hypervisor is the software that controls and manages the underlying hardware. Both VMWare's ESX and Microsoft Hyper-V include a hypervisor. Operating systems known as "guest operating systems" such as Windows or Linux, can be installed on top of the hypervisor and run in a virtual machine (VM), instead of directly on a physical server. Since the hypervisor software can manage several VMs independently, businesses are able to consolidate applications onto a single physical server. The hypervisor provides each application with its own virtual machine and server operating system.